Beer #129 is Casa Beer by Brasseries Du Maroc. Brewed in Morocco, I got this particular brew in Epcot at the World Showcase. 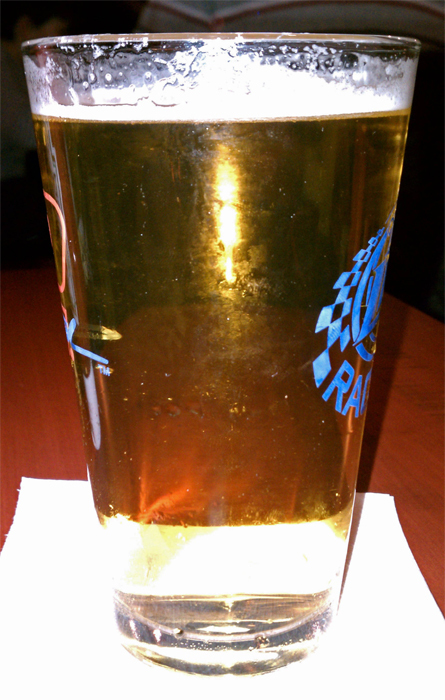 Brewed as a Euro Pale Lager, this had an ABV of 5%. 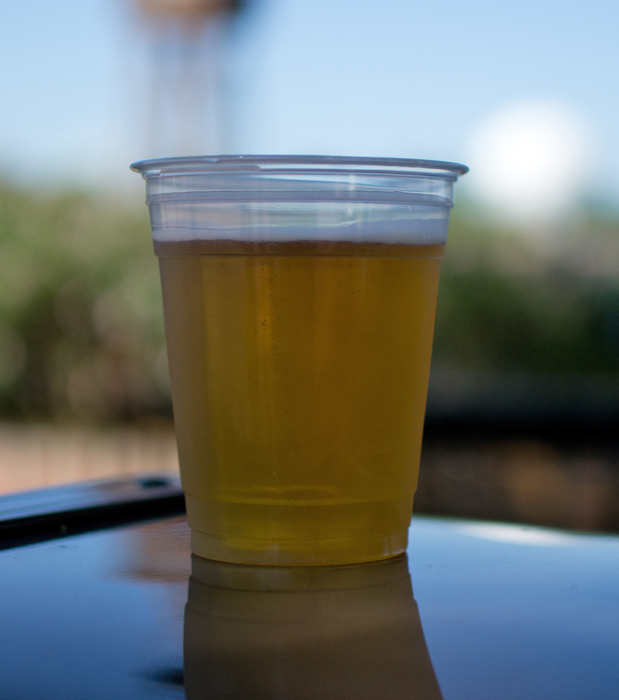 It was poured into a plastic cup from the Moroccan refreshment vendor. Yep…plastic cup…not good. It was a pale yellow or straw color with nada in the head department. The smell was very grain like…a bit like cereal. It tasted just like it smelled, lots of grains but that was about it. It had a component in the taste that I couldn’t quite put a finger on…not horrible…just different and indescribable. It finished very dry. The body was light, very carbonated, and crisp. Even know it was easy to drink…one was more than enough. This was a very one sided brew. It was cool to have a beer from Morocco but that was the best part of this beer. On to beer #130. 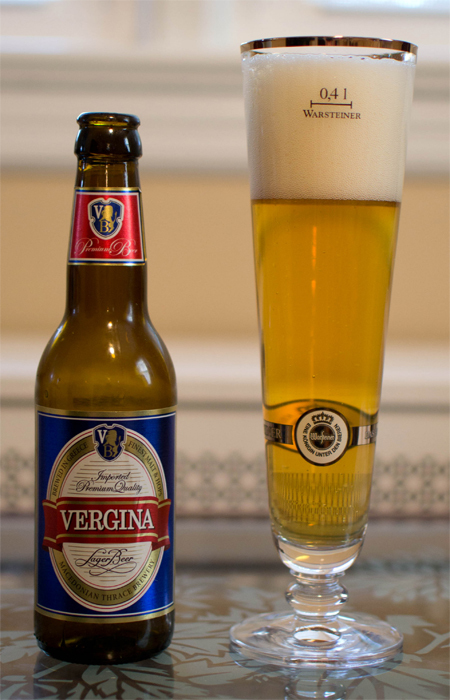 Beer #114 is Vergina by Macedonian Thrace Brewery. Interesting name for this Euro Pale Lager from Greece with an ABV of 5%. Look at that beautiful gold color and that huge foamy white head. Looks good…no? I took a smell and got hay and a skunky smell. That skunky smell got stronger as it warmed up. It smells like a lager unfortunately and lagers aren’t my favorite style of beer. It had a slightly sweet taste along with a flavor I couldn’t place. It was really light and thin in the body. It was nice and crisp with some heavy carbonation going on. Easy to drink but the skunky smell wasn’t all that appealing to me. The best part of this beer was the fact it was from Greece and it was my first Greek beer. On to beer #115. On of my favorite local restaurants, O’Connors, closed in late August. It was really nice because we could walk to it and it had good food. For a few weeks there has been a sign out in front of it advertising the Stage House Tavern coming soon. Well, it looks like tonight it was finally open. I told the wife to stop cooking, take off the apron, and doll herself up, we are going out. Off to the Stage House Tavern we went. The draft selection was not good (Bud, Miller, Guinness, etc.) but they had something I haven’t had before, Stella Artois. So I ordered one up to go with my sea scallop dinner. To the table it came in a standard pint glass (shame I didn’t have my Stella glass I got from Cavie, http://cavalierbeer.wordpress.com/ ) looking pale and yellow and very clear. There was a small white head atop this beer. I lifted the glass to my nose and didn’t get much of anything. There was a very, and I mean very faint aroma of grass and grains and a slight skunky smell. Not good I thought to myself as I raised the glass to take a sip. The taste was very bland with a slight bread or grain flavor. The mouthfeel was very light with not all that much carbonation. As far as drinkability goes, it was as easy to drink this as it is to drink water. This is a very blah beer. There was not much to it, no complexity and very bland tasting. That being said, it wasn’t the worst beer I have ever had it just doesn’t compare to 77 (not going to count the beers in the Peasant Fare rating pool) of the other beers I have had. I wouldn’t recommend this, there are just so many other good beers out there to drink and enjoy. On a better note, dinner and dessert were absolutely delicious. Looks like the Stage House Tavern just might be able to fill the shoes of the old O’Connors.